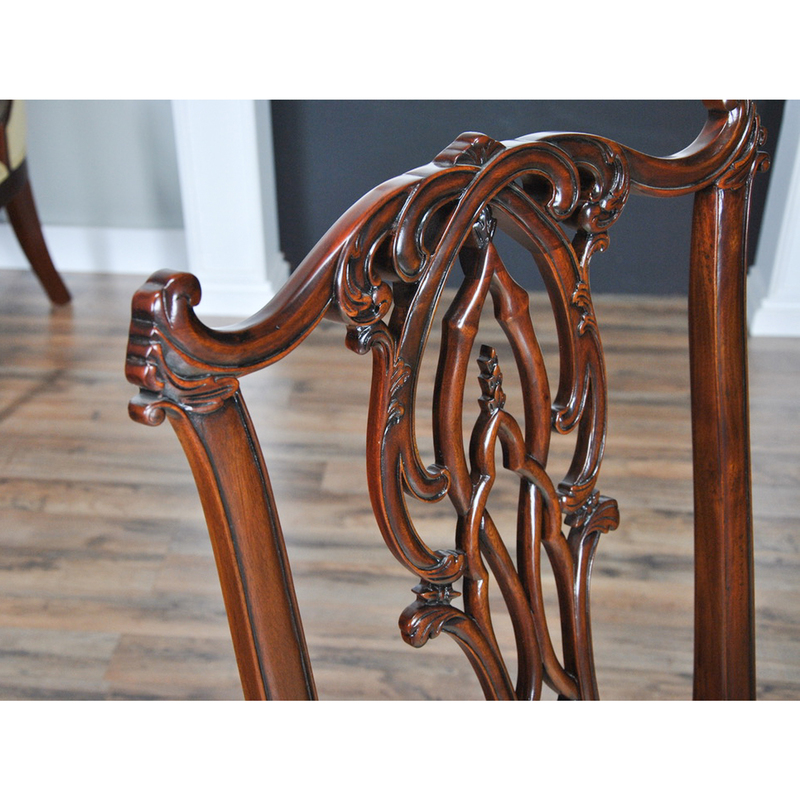 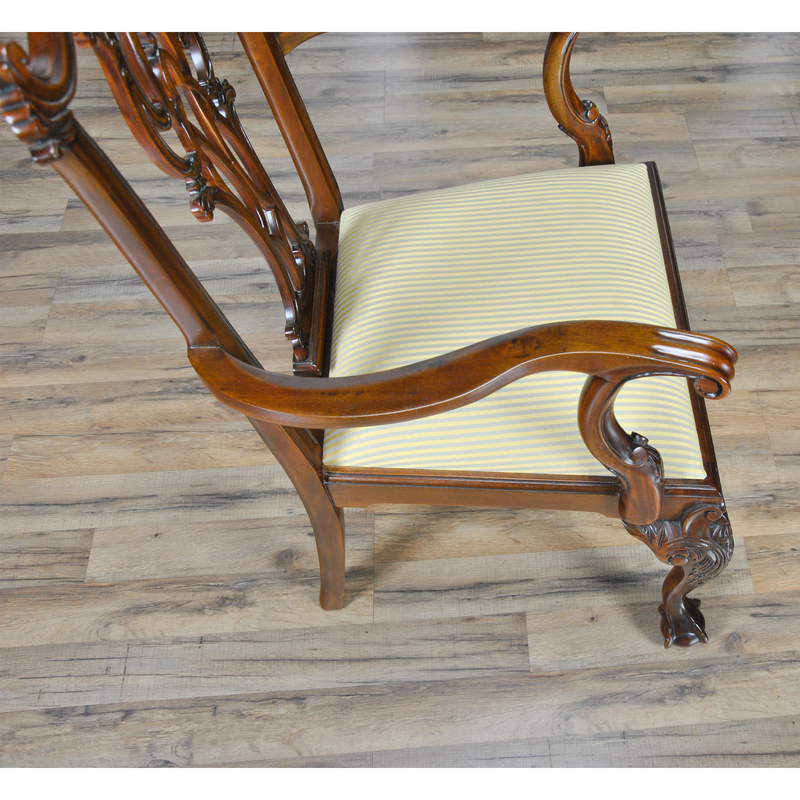 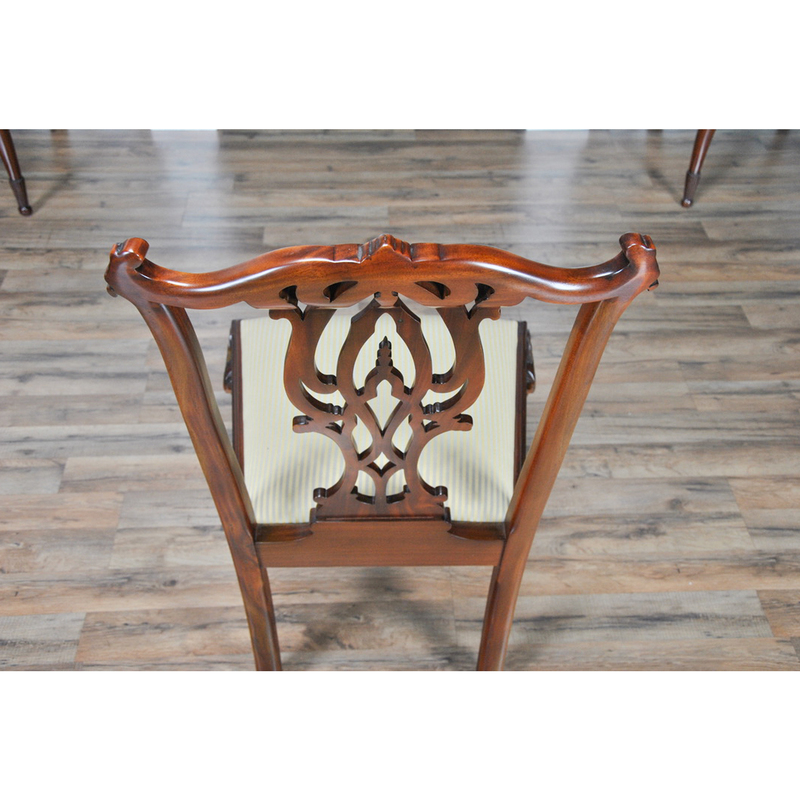 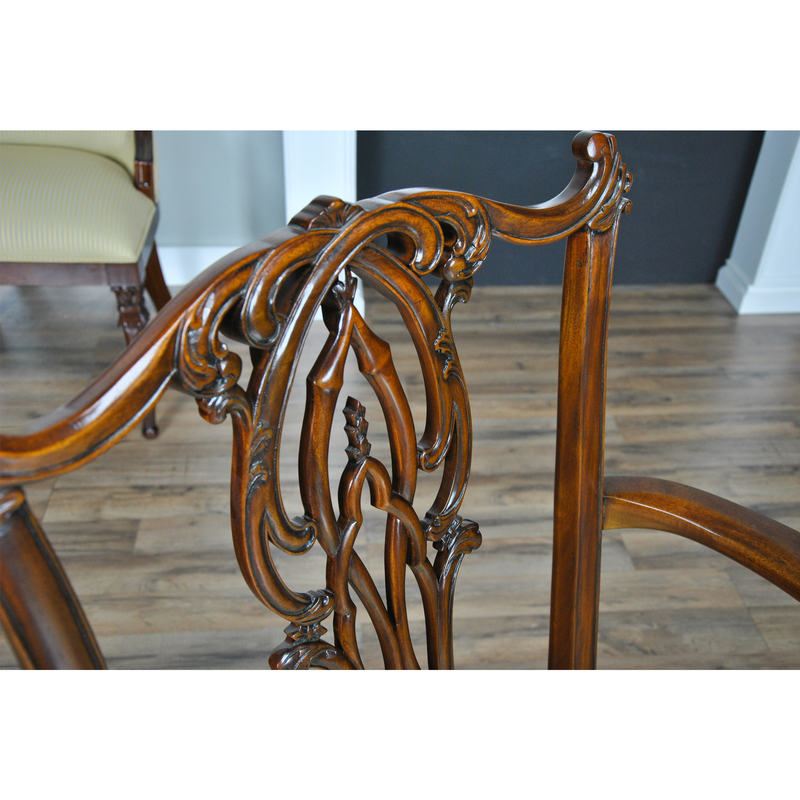 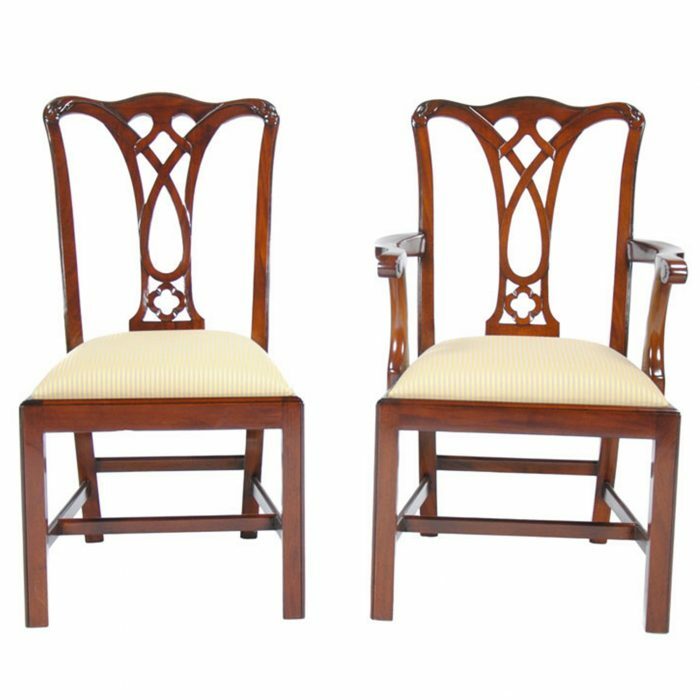 This set of 10 Flame Back Chippendale Chairs by Niagara Furniture consists of 2 arm chairs and 8 side chairs. 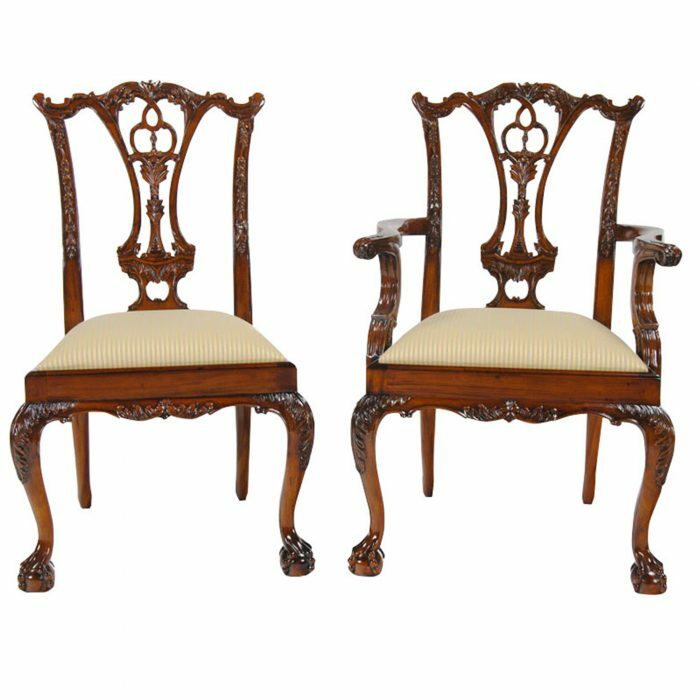 These chairs were inspired by some of the finest carvers and cabinetmakers that ever lived. 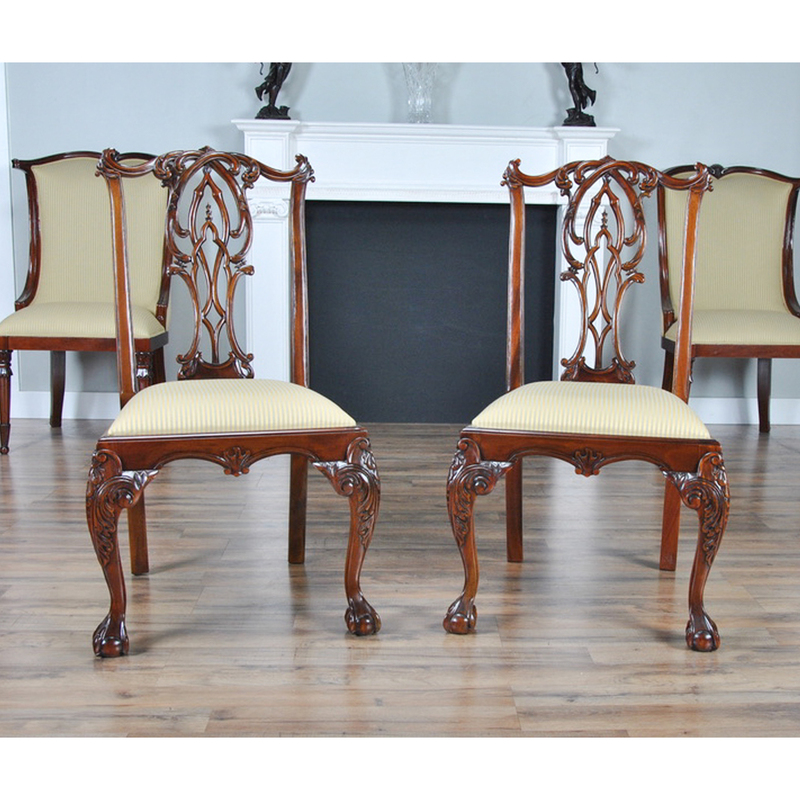 Similar to examples found in stately homes in Philadelphia, Boston and New York at the end of the 18th Century this set features wonderful hand carved details which include a “flame” in the center of the back splat. 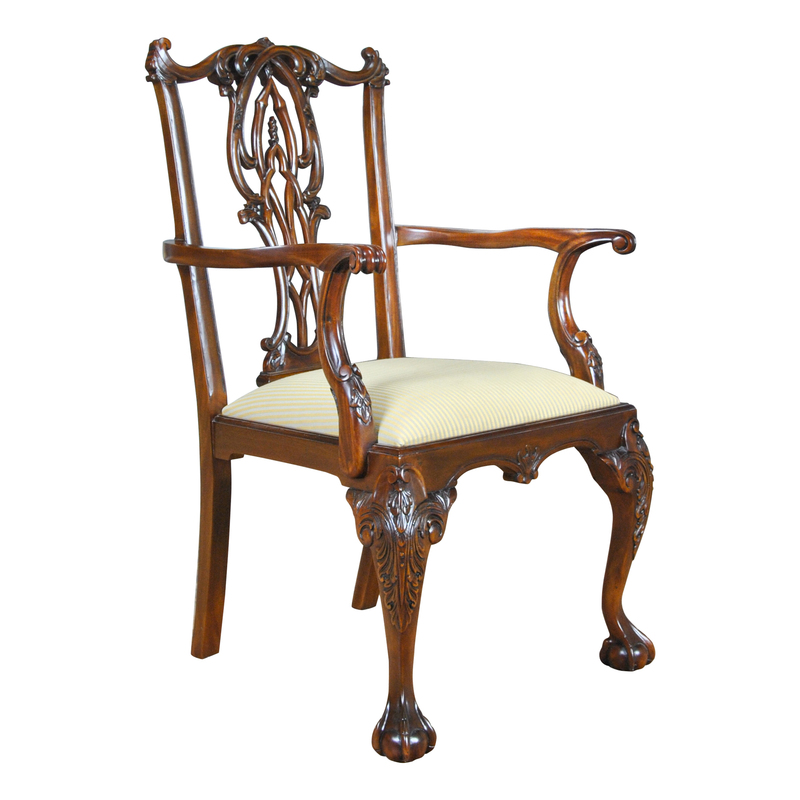 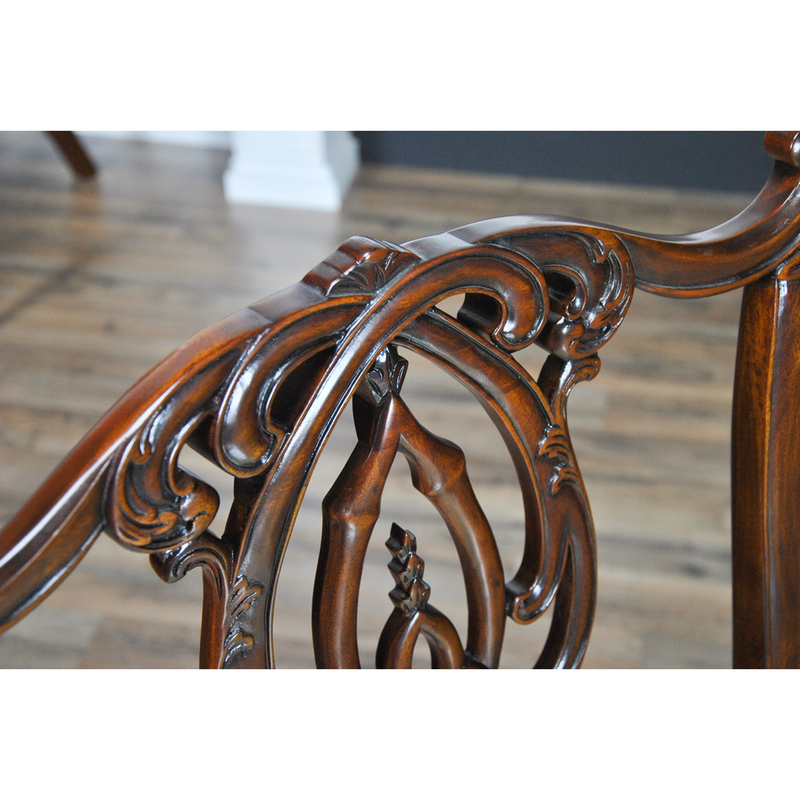 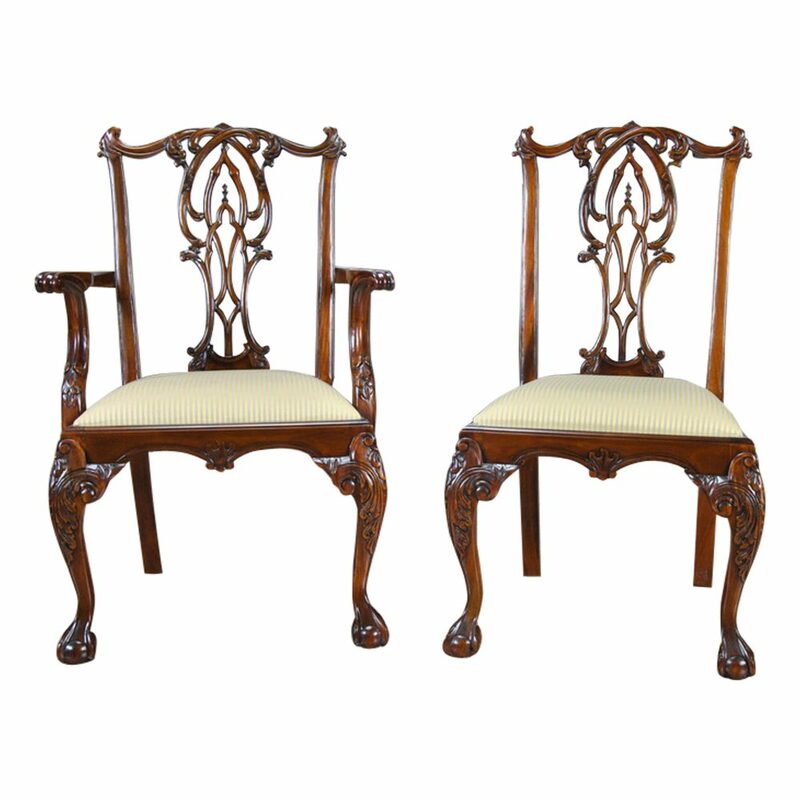 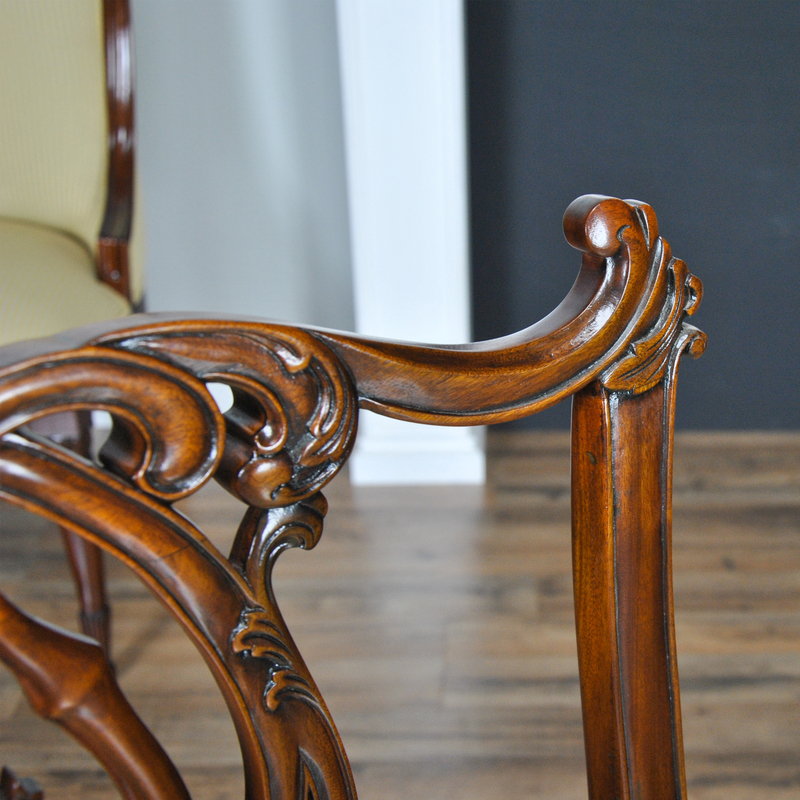 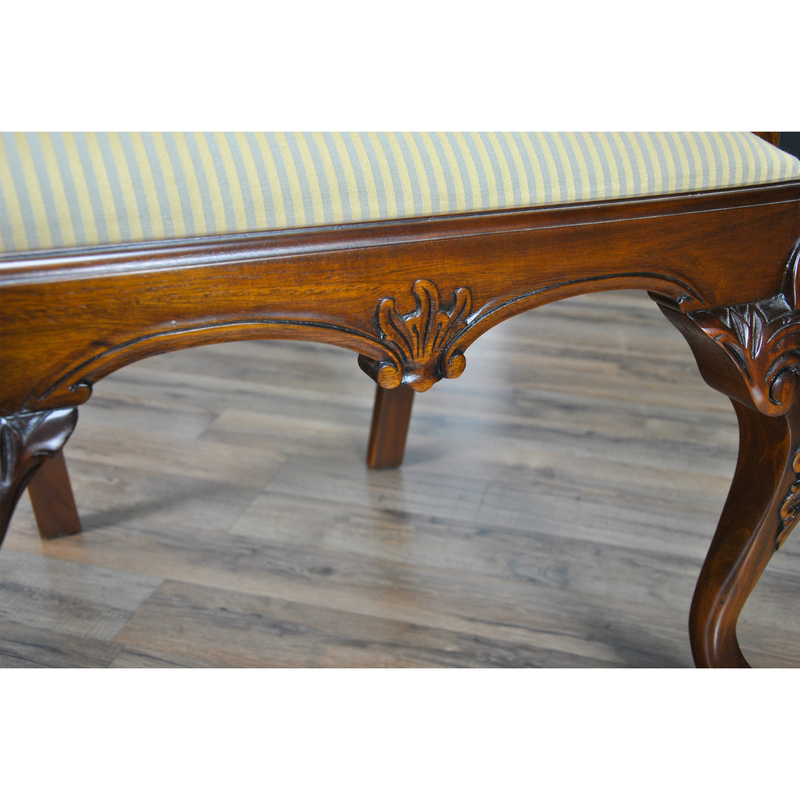 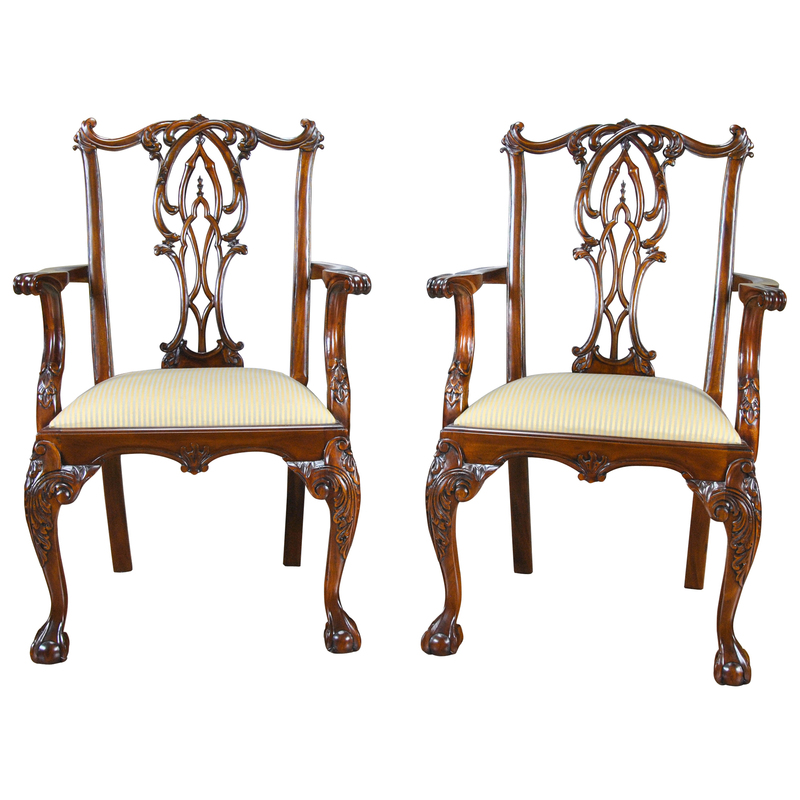 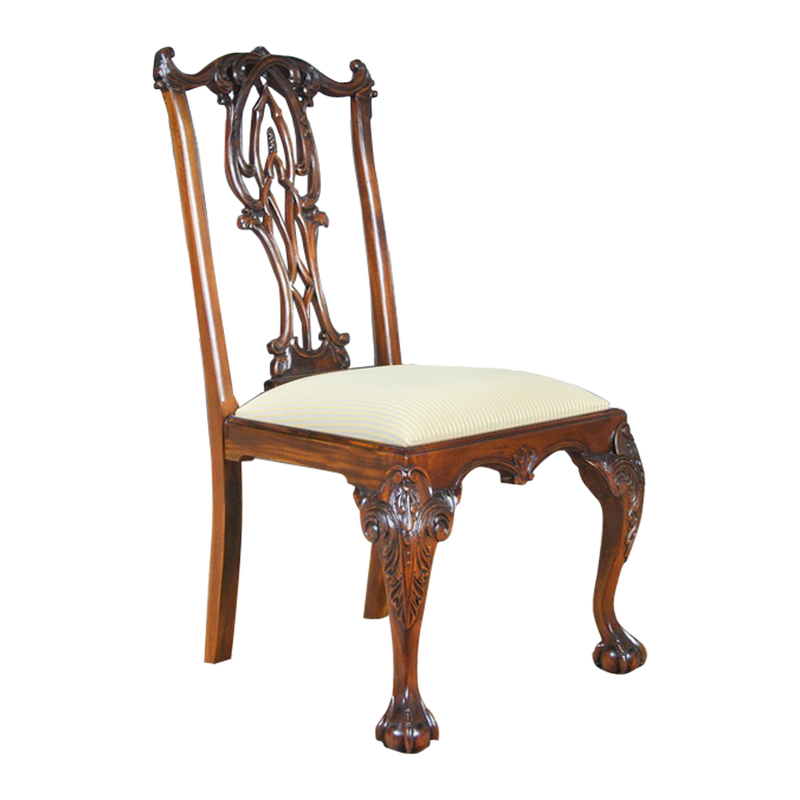 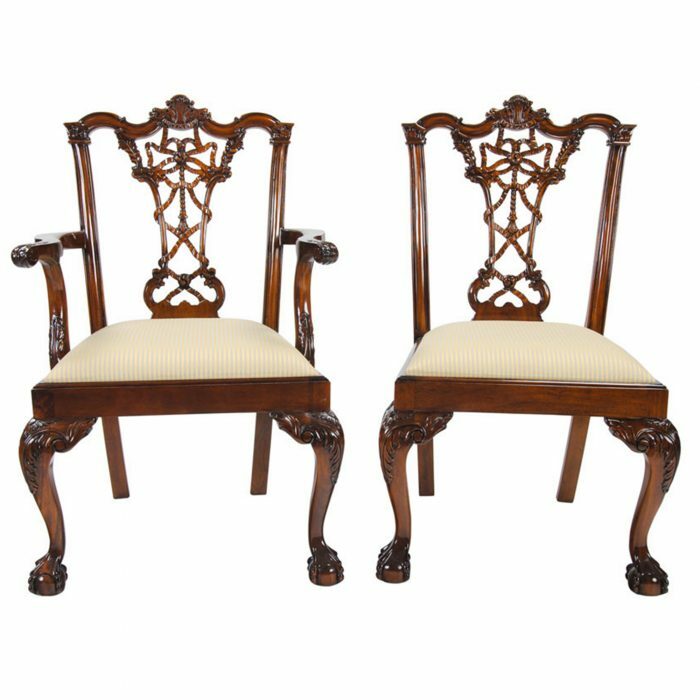 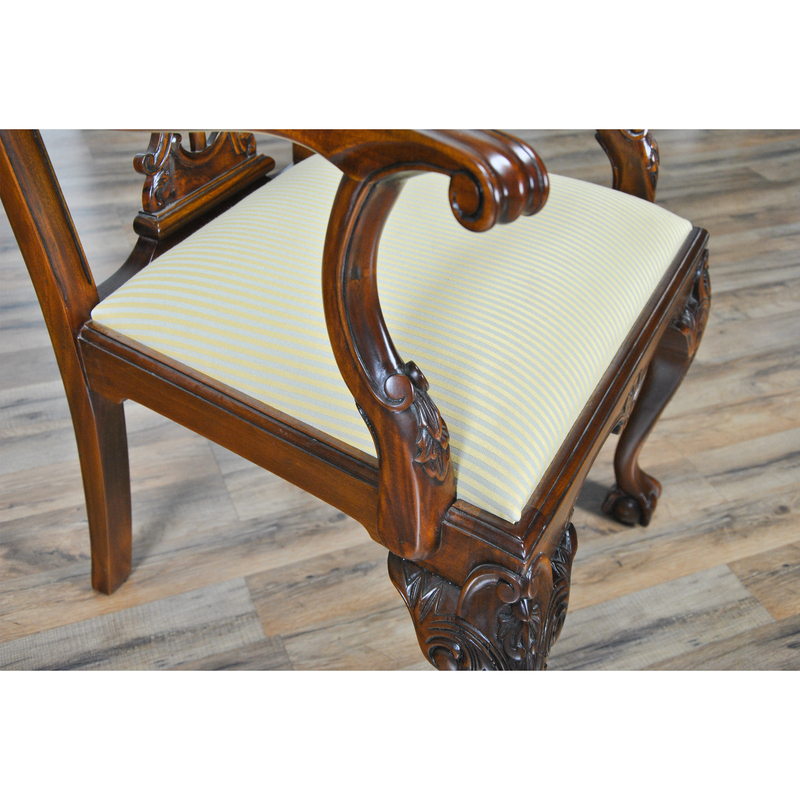 No expense was spared in creating this high quality, luxurious chairs which also feature exaggerated ears on the ends of the crest rails, curved and scrolled arms, acanthus carved knees and wonderfully executed ball and claw feet. 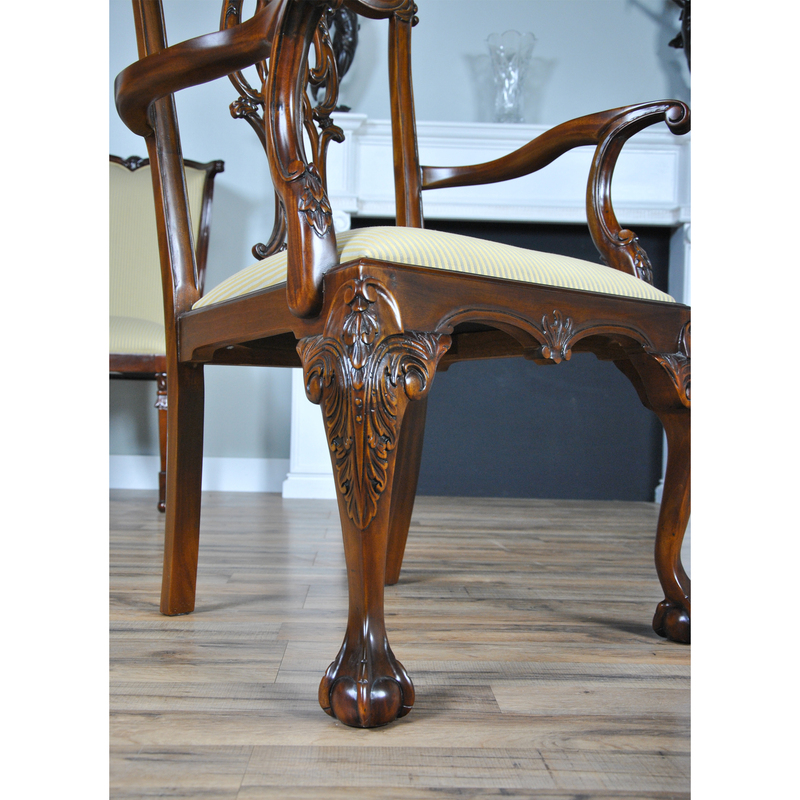 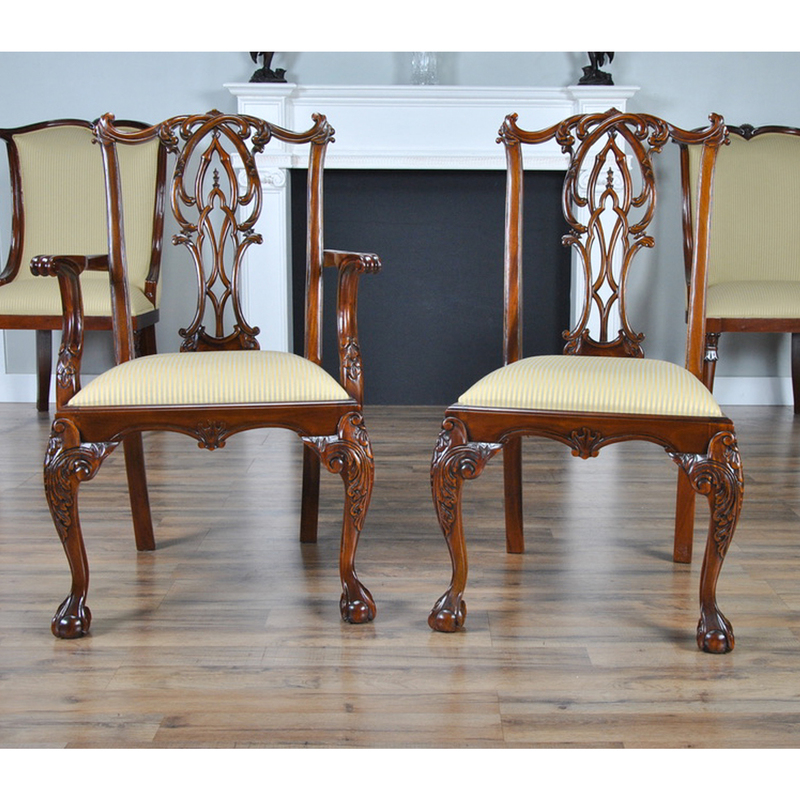 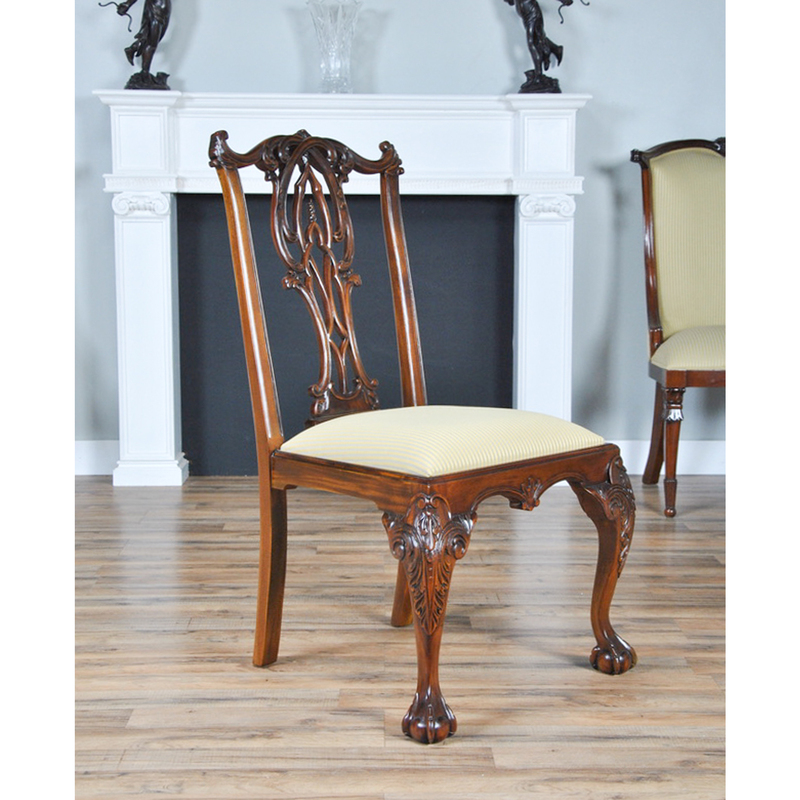 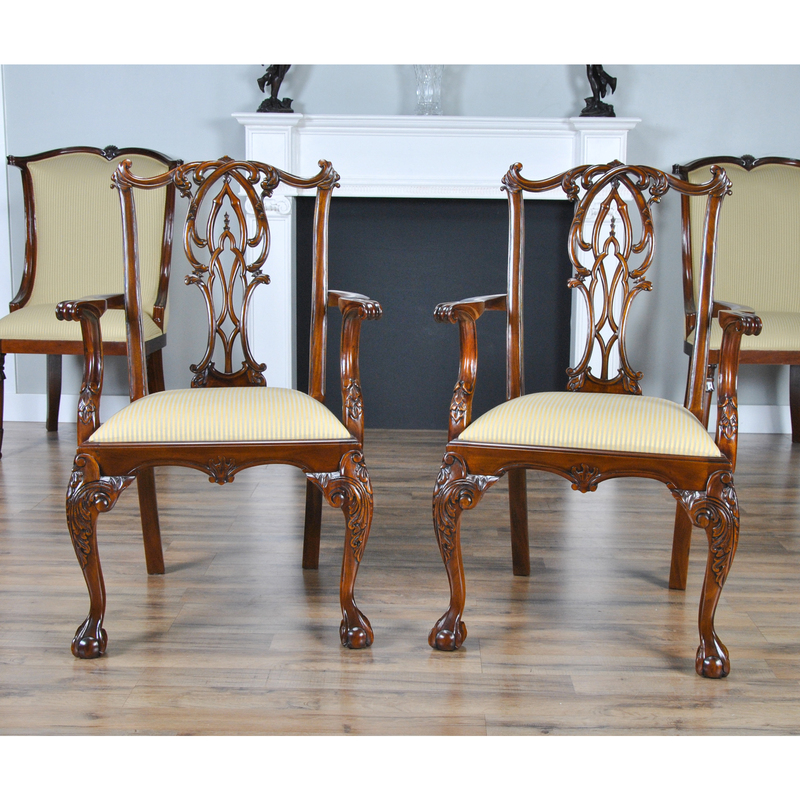 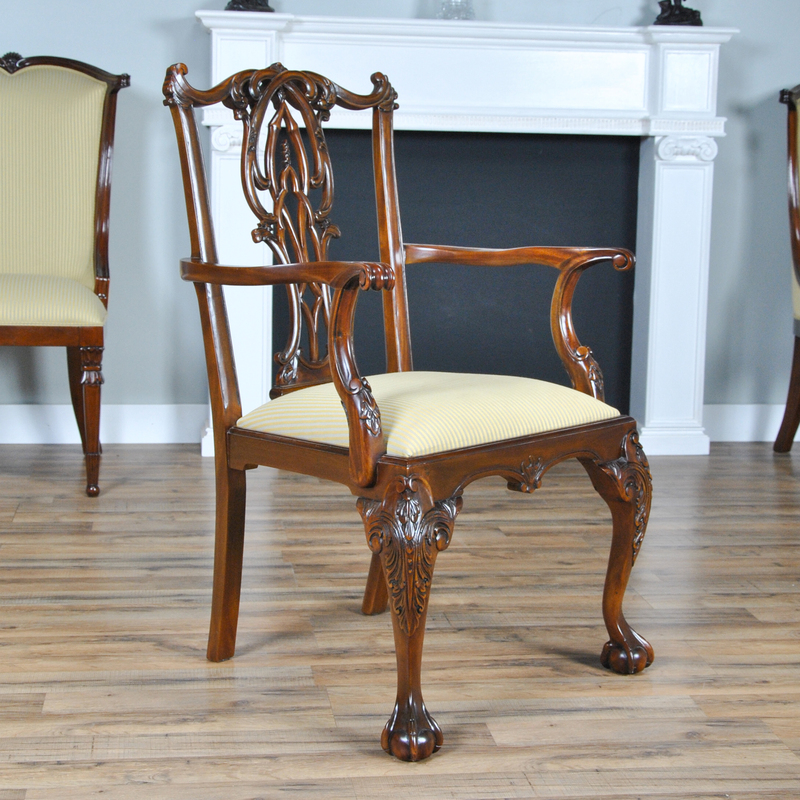 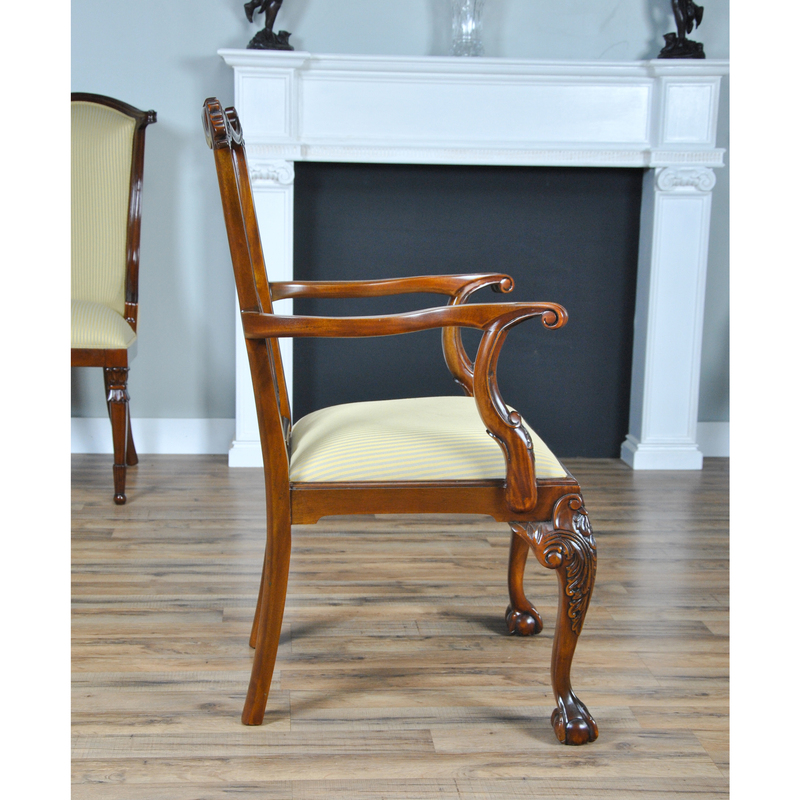 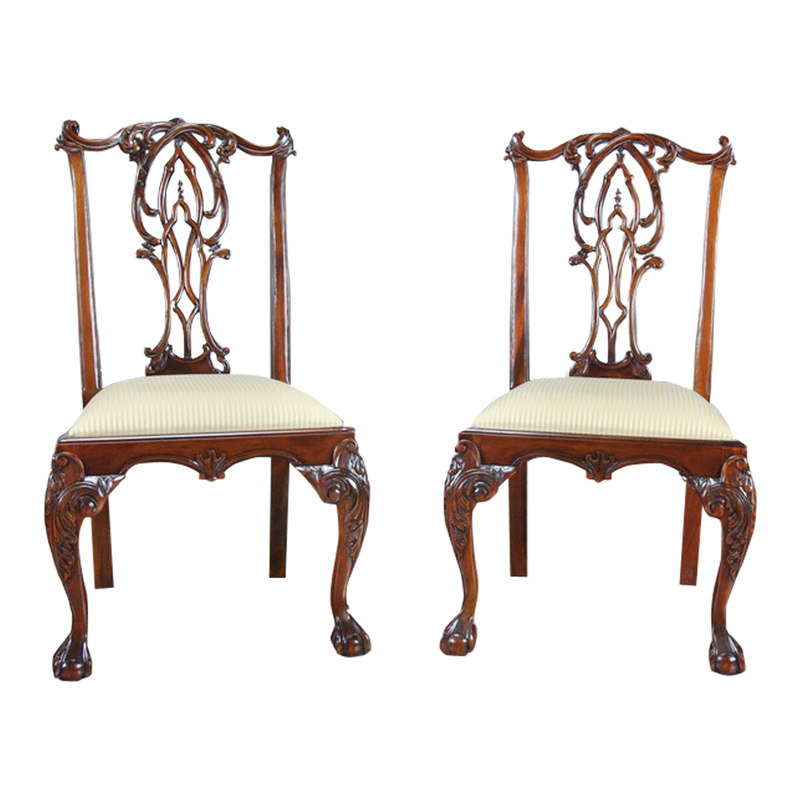 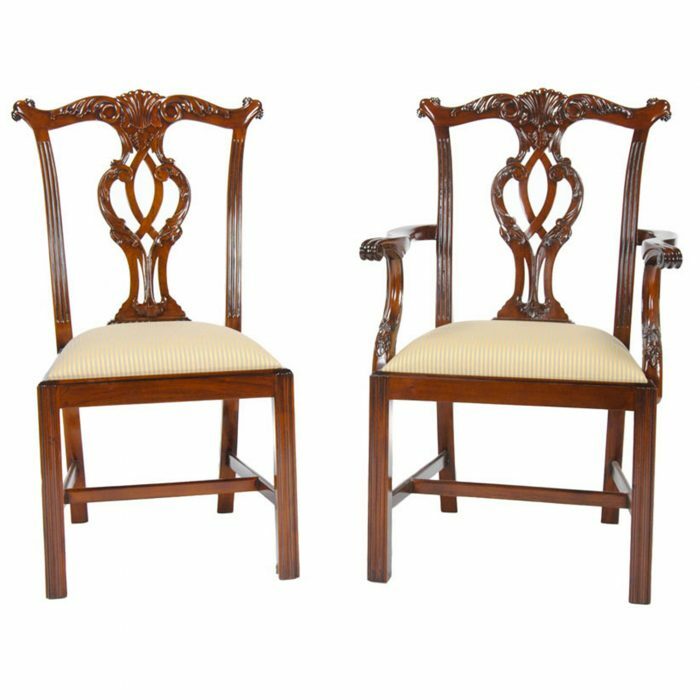 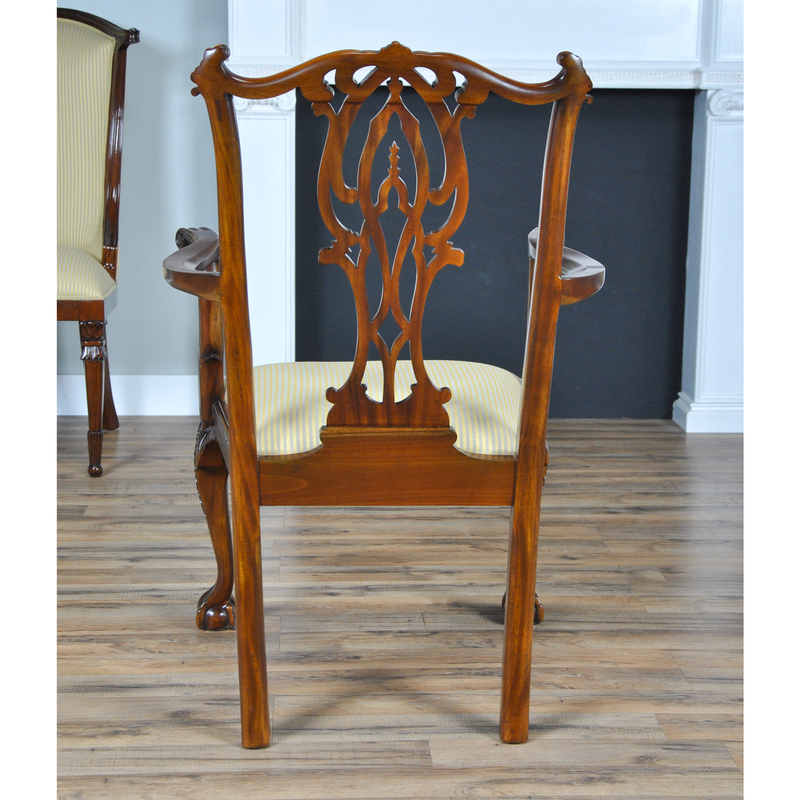 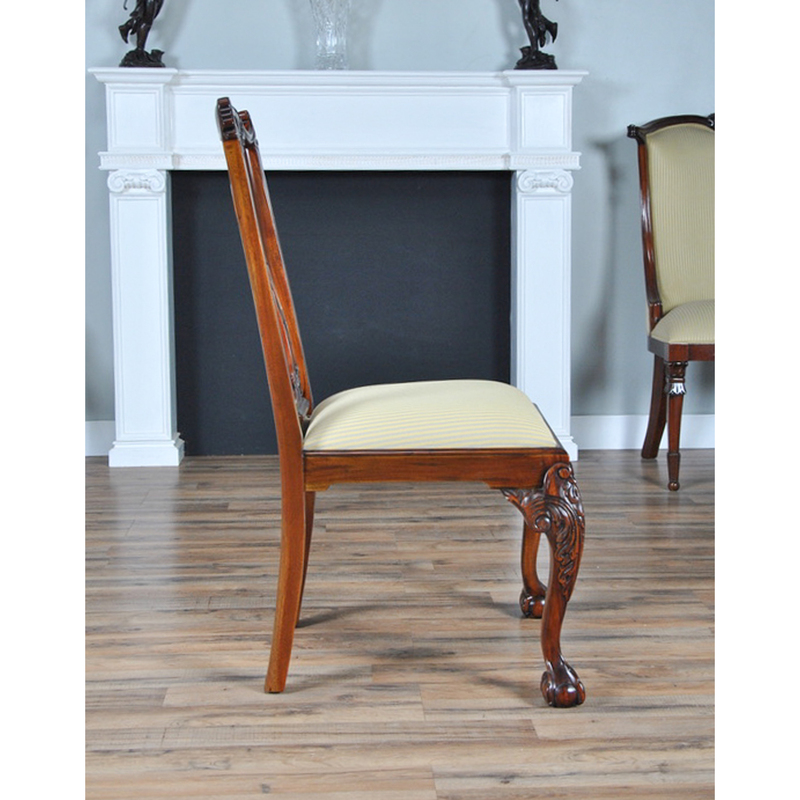 Solid mahogany throughout, the set of 10 Flame Back Chippendale Chairs exude quality.